Shares in the household goods firm Reckitt Benckiser (RB) have fallen after it admitted the effects of last month's major cyberattack would result in a loss of sales. 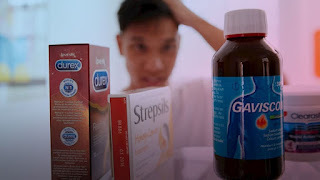 The FTSE 100 company, which has the Nurofen, Dettol and Durex brands in its stable, said the malware was still affecting some operations - more than a week after it took hold of systems worldwide. It said: "The attack did disrupt the company's ability to manufacture and distribute products to customers in multiple markets across the RB Group. "Consequently, we were unable to ship and invoice some orders to customers prior to the close of the quarter. "Some of our factories are currently still not operating normally but plans are in place to return to full operation." It added: "The continued production difficulties in some factories mean that we also expect to lose some further revenue permanently."